Transform your urban modern kitchen into a casual dining space with the stylish yet comfortable Cedric Counter Stool from Sunpan. Inspired by classic parlor-styled seating, this contemporary counter stool features a round, backless seat atop a four-legged wooden base. The generously cushioned seat wrapped in smooth bonded leather ensures surpassing comfort while the base's circular footrest and sleek, streamlined legs create a transitional, contemporary look that fits seamlessly into a variety of design schemes. 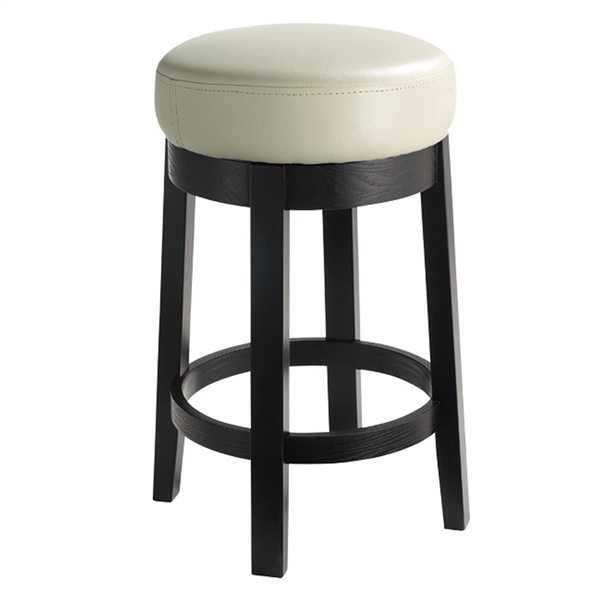 To best accommodate your taste and complement your dining space's d�cor, the Cedric Counter Stool is available in your choice of upholstery color, each of which gives the stool a distinct character.